Creating Beautiful Memories Since 1985! Unlimited Entertainment has been incorporated in New York State since 1985. Our organization is fully insured and is a member of the National Association of Mobile Entertainers. Since 1985, our organization has provided the most outstanding music and entertainment for all special occasions. We are sure our superior DJ’s, MC’s, and show packages will bring a touch of class to any special occasion. Our staff is completely committed to the success of your party. 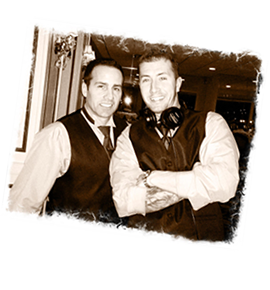 Our DJ’s, MC’s, and entertainers are fully trained professionals, as well as courteous, energetic, and friendly. We strive to always develop new routines so that no two parties ever look the same. Our musical library ranges from the 1940’s through the present, as well as novelty songs and songs of all nationalities.